The size of the playing surface will be in the order of 300 yards long by 200 yards wide (slightly smaller is permissible) as a consequence the action can disappear for quite some time up the far end of the field. 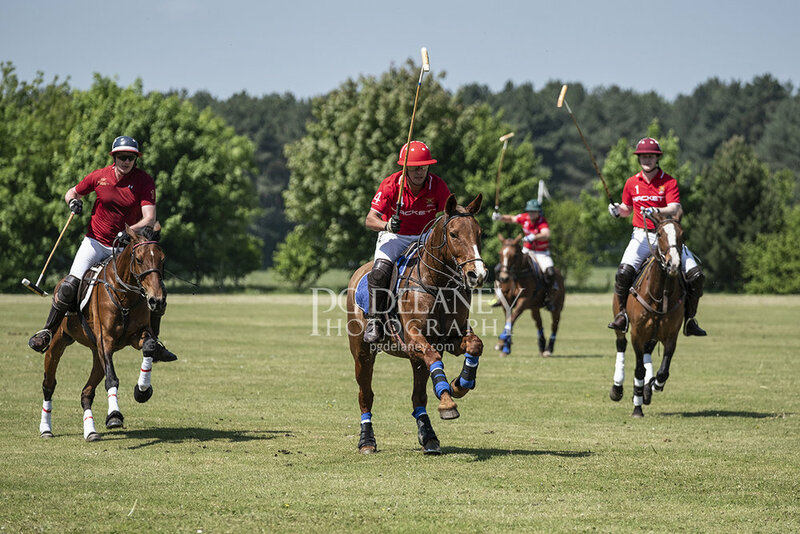 The polo ponies are changed after each period of 7 minutes play (known as a chukka) and the umpire (referee if you like) may be forced to interrupt the action regularly as adrenalin takes over and rule infringements are inevitably made. The images in this blog were taken this month at a weekend tournament. Several teams took part and whilst you may think with so much time available it will be easy to get lots of great images, in truth, if you care about the quality of your photographs, it's not the case. In my mind there's no point in displaying an image that has no compositional quality, is out of focus, or is just 'another image'. But having said that there needs to be a little compromise on behalf of the photographer - I keep getting reminded by my 'better half' that these images are for the benefit of the riders and spectators and they are generally more forgiving of the image quality, as they simply wish to see their pony or rider taking part. So in the end I try to be flexible with my choices whilst still maintaining a standard of work that I'm happy to have associated with my name. Camera gear will get you so far but patience is a virtue and it's not always rewarded. A polo match could bestow a treasure hoard of images upon the photographer and equally it may leave you feeling that you've been lost in a desert for a day and all you have is a little sunburn to show for it. I've often contemplated how I might improve my image count, throwing money at the problem can certainly help but even the longest zoom may not be so advantageous. Hazy days, with the air full of insects (full of insects? Really? - er... yes, and on some days LOTS) means a very long zoom will get you close but the quality may suffer (also for lens technical reasons). I have taken good images with relatively short focal lengths and so a medium telephoto will work, providing you have a little luck on your side and a reasonable amount of the action passes close by in order for you to have a few bites at the cherry. I am quite fussy about the stance of the main pony in the shot. Fast shutter speed freezes the action and the position of the ponies legs can make all the difference. Sometimes a front leg can be stuck out straight or look awkward, as if the horse is about to topple on its face. This isn't the case but aesthetically I like to see legs that are not in contact with the ground and preferably 'undercarriage up', giving a real sense of pace. Sadly this is where I reject many images, I take the losses on the chin and have to be content with the far fewer, yet better dynamic looking photos. I'd rather do this than display just how incredibly awkward a pony can be portrayed when its movement is frozen at an inopportune time. As for the rest of the composition? As you can imagine it's not possible to stop the action and with 8 ponies charging about (not including the umpire's ride) there's a good chance a horses backside or head will be intruding in the frame and you have to decide whether it's ok or not to show. I imagine polo is one of those sports where if you try it you could be hooked for life. No doubt it's going to be expensive for those with their own ponies (stables, grooms, veterinary care etc) but even those who don't have a good deal of spare income can take part. There are lots of clubs that offer lessons and even 'novice matches' to get the adrenalin pumping. If you're in the military then you'll no doubt have the possibility of joining your club or association. The Army and RAF certainly have polo teams - I think the Navy just have 'swabbing the decks' to keep their lot busy ( ah-haaar me lad ;-) - ok, I made that up). In any case what I'm trying to say is that polo is within reach of most people's budget in some form or another. For those wanting to take a camera to a tournament I would advise you to be patient and wait for the action to come close enough to fill your frame sufficiently. Have a camera speed of around 1/1000 sec or higher and try to time the moment in anticipation of getting the best shot. Inevitably you'll need a reasonable camera and lens, so some kind of DSLR with a quality telephoto/zoom telephoto lens attached. I enjoyed this event and never tire of trying to get the 'perfect shot' - I've learned to not expect too much but usually there are a handful of images that bring a smile to my face - a 'good job' as some might say. I hope you gained a little insight to polo and my point of view as the photographer. Maybe you'll go and see a match near you soon? P.S. 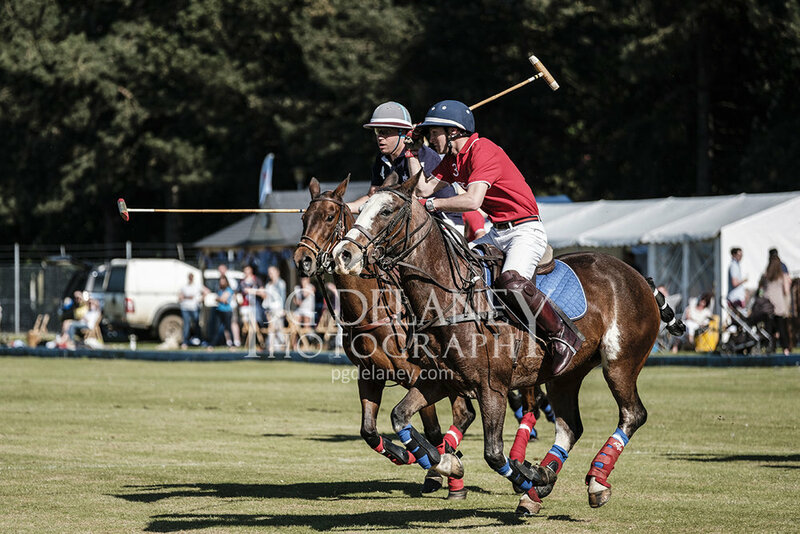 If you would like to see more images from the polo tournament then click the button below.